‘Tis the season of giving, and we’re spreading holiday cheer here at Jag’s! We’re unveiling a full lineup of events and specials to make the season merry and bright. If you’re looking for the perfect holiday gift for that hard-to-buy-for co-worker, treat them to lunch at the region’s top steakhouse. Beginning Friday, November 29, Jag’s is open during lunch hours (11 a.m. – 2 p.m.)! Make your reservations now and take some time off in the midday to unwind from the stresses of work and the holidays. Book your table here, or call us at (513) 860-5353. We’re especially excited to announce Santa Claus himself will be spending his Sunday evenings in December with us from 4:00 p.m. until close. Stop in to let Santa know what’s on your Christmas list, order from our regular menu and enjoy the sounds of live carolers who will be roaming the halls as entertainment each Sunday Reserve your Sundays with Santa table for December 2, 9, 16, and 23 now! We’re celebrating Christmas early with you at our Ugly Sweater Party, December 21, starting at 8:00 p.m. in the main bar. 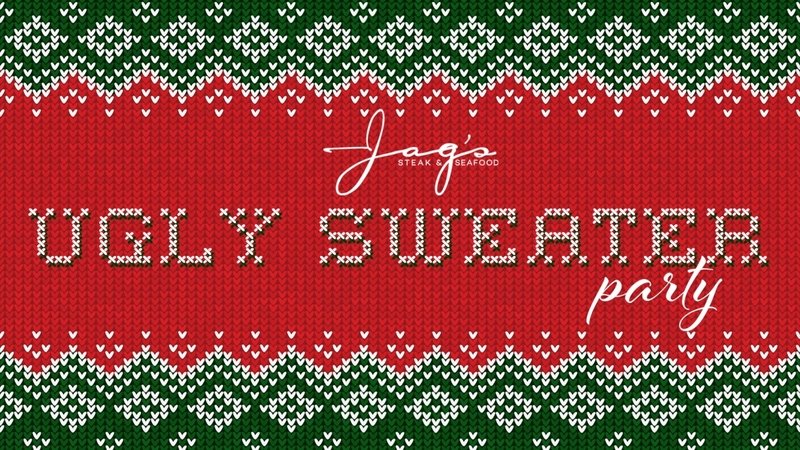 Wear your ugly sweaters to this Christmas bar party for a chance to win a prize and listen to Sly Band play some rockin’ Christmas hits while enjoying local brews and classic cocktails. 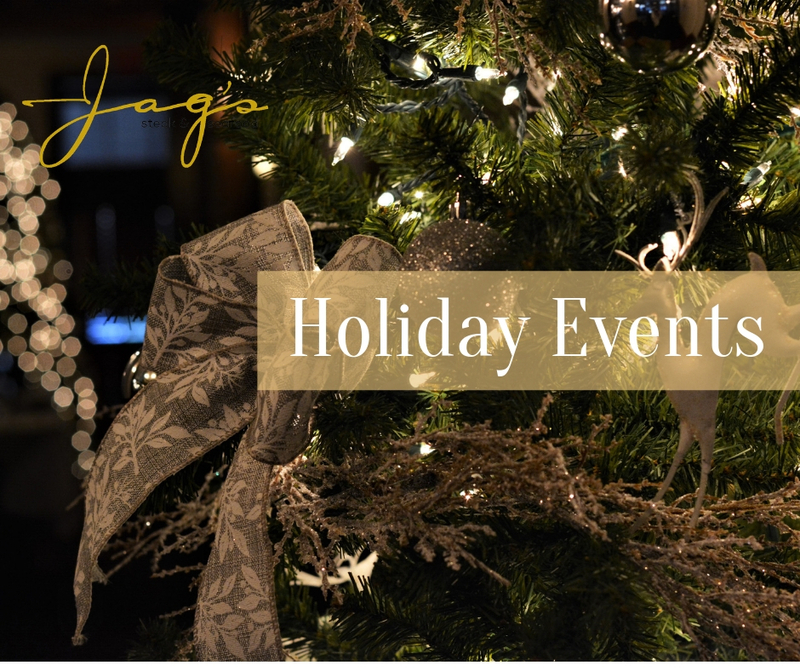 Jag’s is hosting its classic holiday celebration Saturday, December 22. 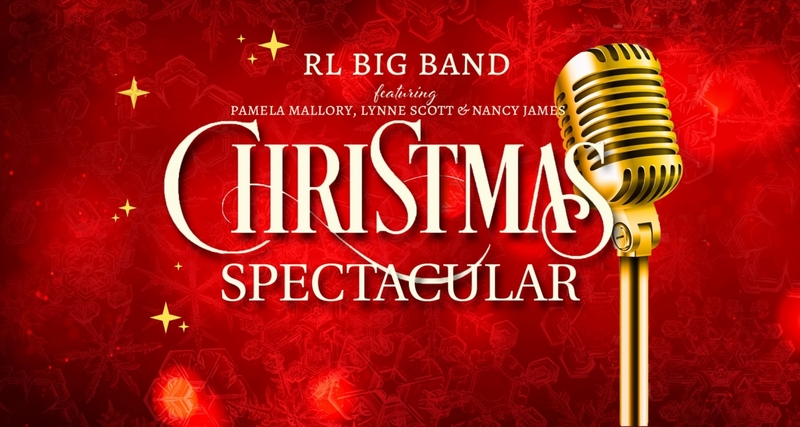 The RL Big Band Christmas Spectacular, featuring Pamela Mallory, Lynne Scott & Nancy James, will begin at 8:00 p.m. at the main bar with live music from the Randy Linville Big Band until 11:30 p.m. Make a dinner reservation and then dance off your meal! Entrance for you and your 21+ guests will be $10 per person. After you’ve opened your gifts, you won’t want to miss the region’s biggest New Year’s Eve bash! Get here at 4:00 p.m. and stay past dinner to ring in 2019 with 3-Piece Revival and a special menu to make it a night you won’t forget. Entry is $85 per person, which gets you a champagne welcome, four-course meal, a celebratory toast, and live music until 1:00 a.m. Wine pairings are included for just $25 more. Guests 21 years and older make their reservations now online or by calling (513) 860-5353. Bar table reservations can be made by contacting Natalie Holbert at (513) 860-5353 ext. 23. If you need to accommodate a bigger crowd, you can host your office, team, club, or traveling friends and family by booking one of our spacious and elegantly decorated private dining rooms all holiday season. To check availability and book your room, follow the link or call us at (513) 860-5353 ext 5.